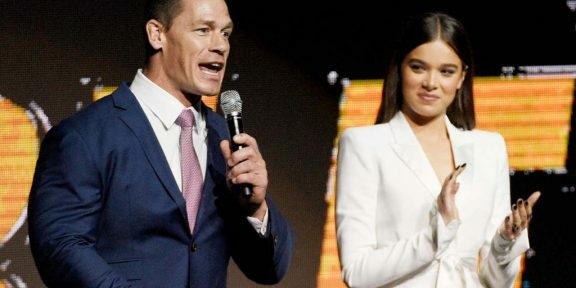 WWE’s own John Cena and the Bella Twins were at the 2014 Nickelodeon’s Annual Kids’ Choice Awards which were held yesterday at the USC Galen Center in Los Angeles, California. The trio presented the award of Best Male Buttkicker which was won by Iron Man’s Robert Downey Jr. The Rock was also nominated in the category, an award he won last year. 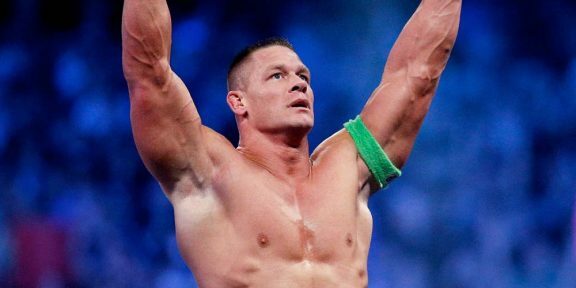 “Super fun night w/ @JohnCena at #KCA on @NickelodeonTV We were rootin’ 4 you @TheRock but congrats to Robert Downey Jr! #ButtKickers,” the Bellas wrote on their Twitter. The Rock acknowledged the tweet and he vowed to take his crown back from Downey next year. You can see several photos of Cena and the beautiful Bella Twins from last night’s show below.